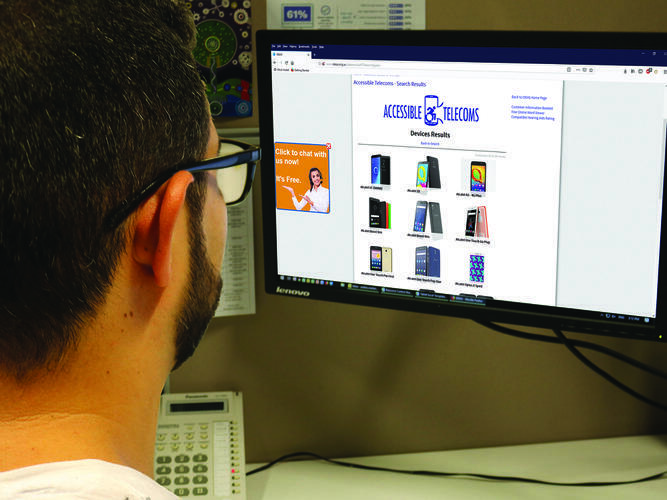 Australia’s peak body representing consumer communications, Australian Communications Consumer Action Network (ACCAN) has launched an Australian first information resource which will allow people with disability to connect and communicate through telecommunications. The Accessible Telecoms project is an interactive website and call centre that will act as a “one-stop shop” for people with disability on accessibility information for telephone handsets (fixed, mobile and teletypewriters) and accessories. It will also help improve skills and confidence in using telecommunications by providing information on available set-up, training and ongoing support. The project has been brought to life through a National Readiness Grant from the National Disability Insurance Agency (NDIA) and will be delivered by Information on Disability Education and Awareness Service (IDEAS). ACCAN Director of Inclusion Wayne Hawkins is excited about the independence the Accessible Telecoms will allow the more than 4 million Australians who identify as having a disability and is thankful for the NDIA’s support. “There is an acknowledged lack of up-to-date, appropriate and independent information about telecommunications equipment and services available for Australians with disability,” he says. Chief Executive Officer of IDEAS, Diana Palmer says telecommunications are often challenging to use for people with mobility, sensory, memory or cognitive conditions. “Through Accessible Telecoms, we’re excited to offer people with disability up-to-date and independent telecommunications resources that can be accessed by web, live chat or phone,” she explains. Disability Discrimination Commissioner Alastair McEwin also says he is excited by this new service from ACCAN. You can find Accessible Telecoms here or by phoning 1800 029 904.